France’s TF1 Group has put the final piece in place to secure universal fixed-line IPTV distribution after striking a deal with Iliad Telecom/Free. As with previous deals, TF1 said the agreement with Free covered both its linear channels and associated non-linear services, with Free subscribers set to benefit from “innovative functionality” from new services. The agreement covers catch-up services on the MYTF1 service, with extended windows for content, the availability of some programmes in an avant-première window ahead of their airing on terrestrial TV and unspecified advanced functionality that will “allow free to launch new services”. In addition, the deal will bring two time-shifted channels to Free customers – TF1+1 and TMC+1 – later this year, as well as event-based programming in 4K UHD. The carriage deal also covers digital channels TV Breizh, Ushaïa TV, Histoire and TFOU Max. TF1 did not reveal terms of the agreement, which appears to bring Free into line with other fixed-line service providers that have made concessions to secure an agreement. The broadcaster had been in dispute with IPTV providers Orange and Free along with pay TV operator Canal+ over its demand for retransmission fees for the carriage of its channels, having earlier struck carriage agreements with Bouygues Telecom – with which it has a shared owner in the form of Bouygues Group – and Altice France/SFR, which has itself called for retransmission fees for its own channels. TF1 struck an agreement with Orange in March after a long dispute with the operator, leaving Free as the only hold-out among fixed-line telecom players. The broadcaster has yet to strike a deal with Canal+, which briefly suspended broadcasting TF1’s channels in March. 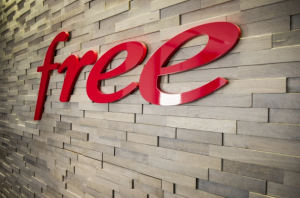 TF1’s agreement with Free also follows a deal between the IPTV provider and the country’s other main commercial broadcaster M6 Group, which had also demanded retransmission fees. That deal meant that M6 has struck agreements with all the main distributors in France, including Canal+.